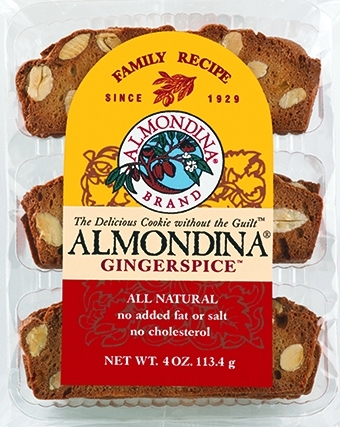 The delicious cookie without the guilt™ – this is the cookie that made us famous and it is still our #1 bestseller. 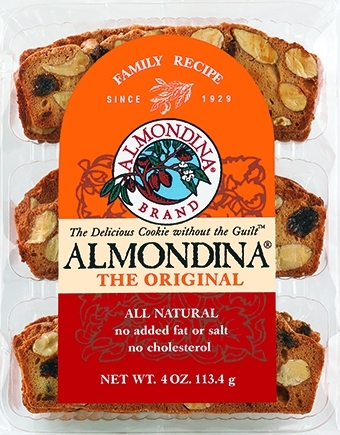 Based on Grandma Dina's original secret recipe that she called Petit Gateau Sec, we begin with top quality almonds, plump raisins, and a blend of other natural flavors, then cook this to a perfect crispness. Delicious. Crunchy. All-natural. No Cholesterol. 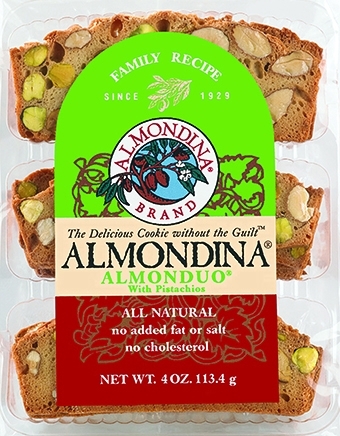 Almonds, Flour (wheat flour, malted barley flour), Pure Cane Sugar, Egg Whites, Raisins, Natural Flavors. Kosher Pareve.